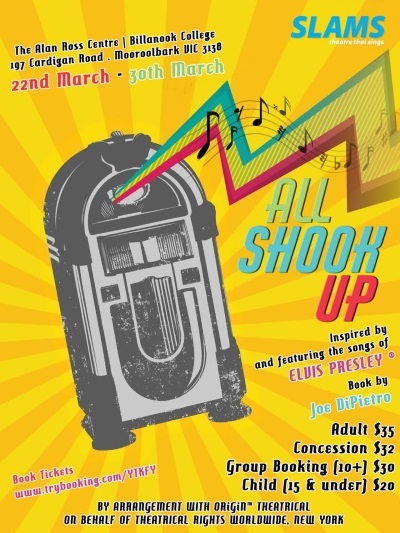 SLAMS Musical Theatre Company presents All Shook Up – a new musical comedy built around a number of songs made famous by Elvis Presley. It takes place in 1955, in a square little town somewhere in middle America, where one girl’s dream and a surprise visit from a mysterious leather-jacketed, guitar-playing stranger help a small town to discover the magic of romance and the power of rock’n’roll. 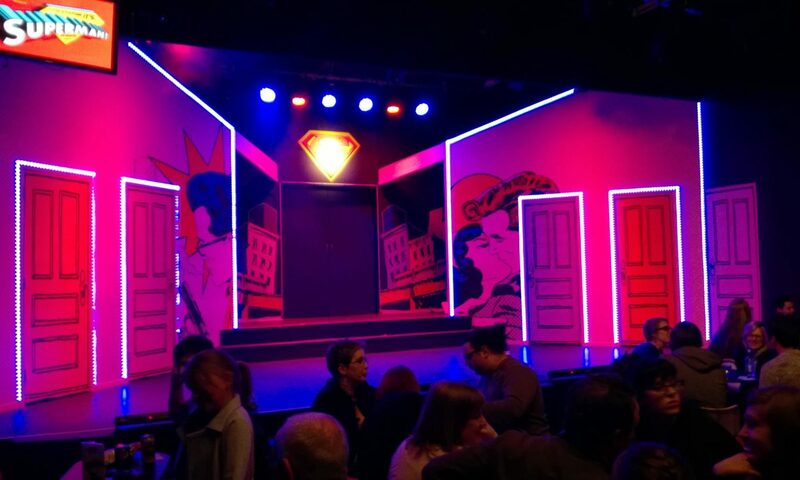 Among the 24 songs featured in the score are classics like “Heartbreak Hotel”, “Love Me Tender”, “Don’t Be Cruel”, “Blue Suede Shoes”, “Can’t Help Falling in Love”, “Hound Dog”, “Jailhouse Rock” and of course, the title tune.